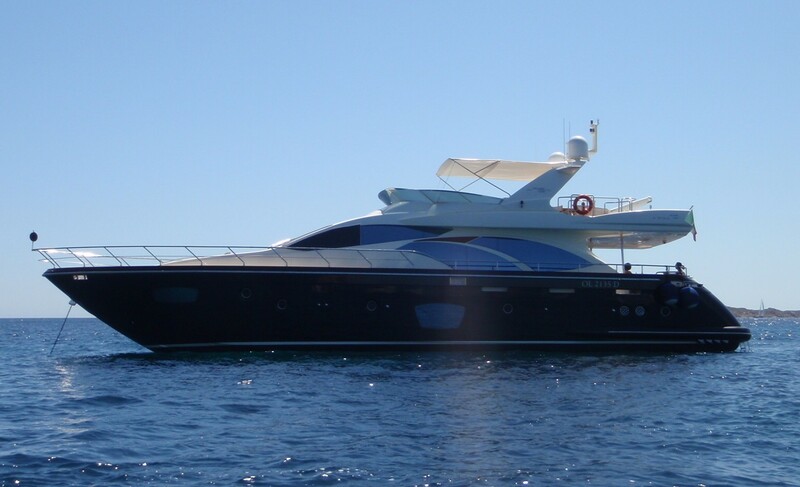 Luxury Motor yacht Carocla II was delivered in 2006 and will be available for the first time on the charter market under new ownership. 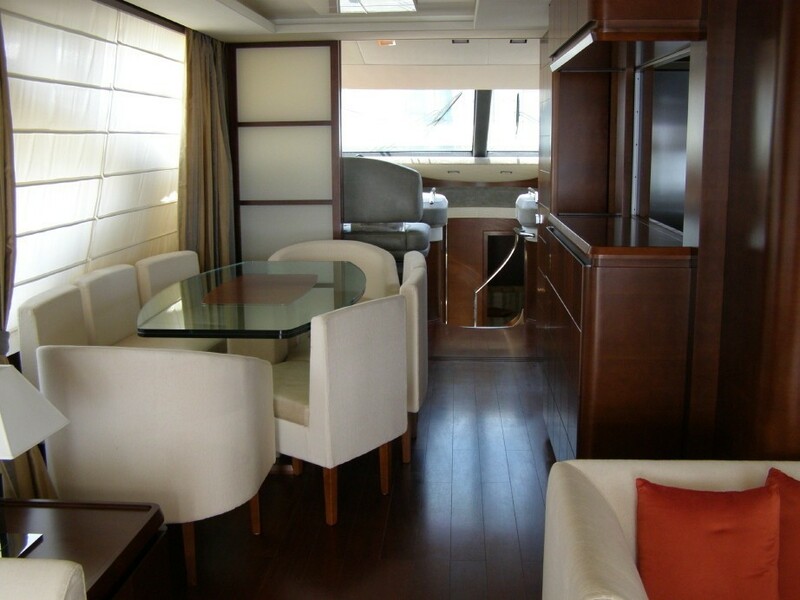 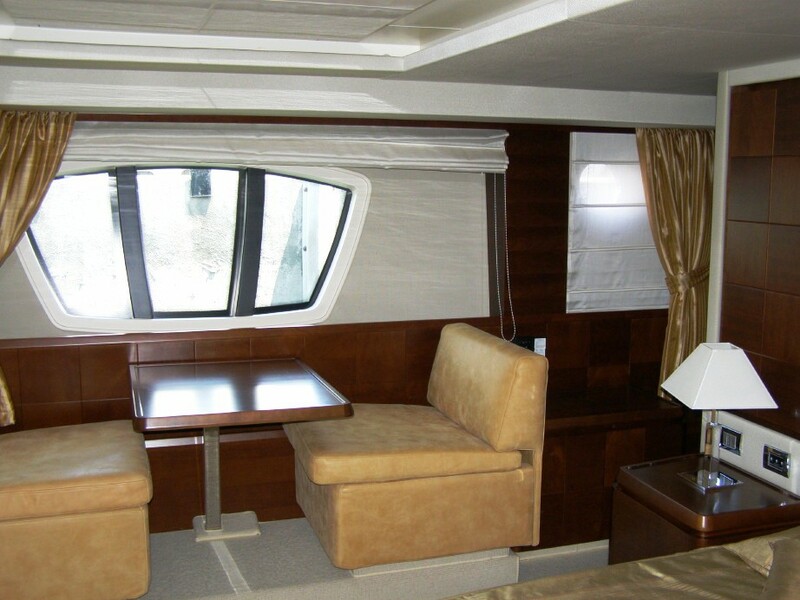 She can accommodate up to 7 guests in 2 double and 1 twin cabin and is based in Sardinia year round. 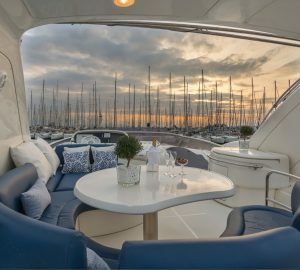 This fast cruising yacht offers comfortable accommodation, excellent dining opportunities and a range of relaxation areas including lounges and sunpads on both the lower aft deck and the flybridge. 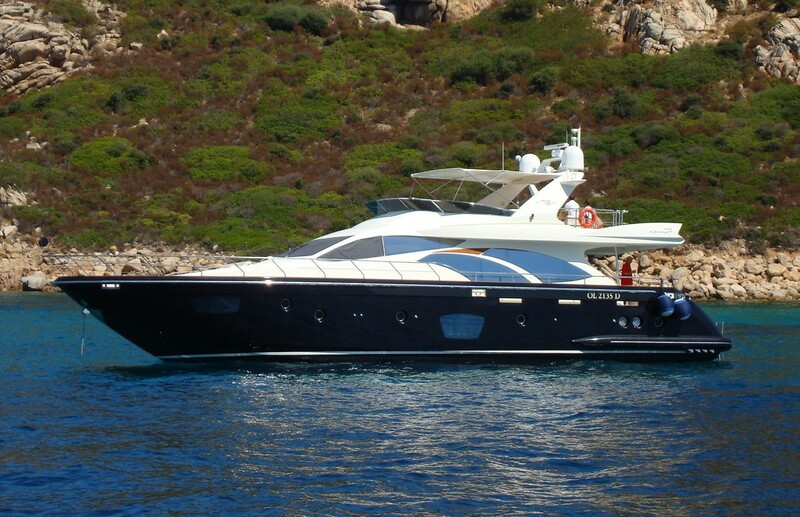 Based in Olbia, in the heart of the Costa Smeralda, "Carocla II" is ready to accommodate guests of all ages to explore the beauties of Sardinia and Corsica, or beyond if required. 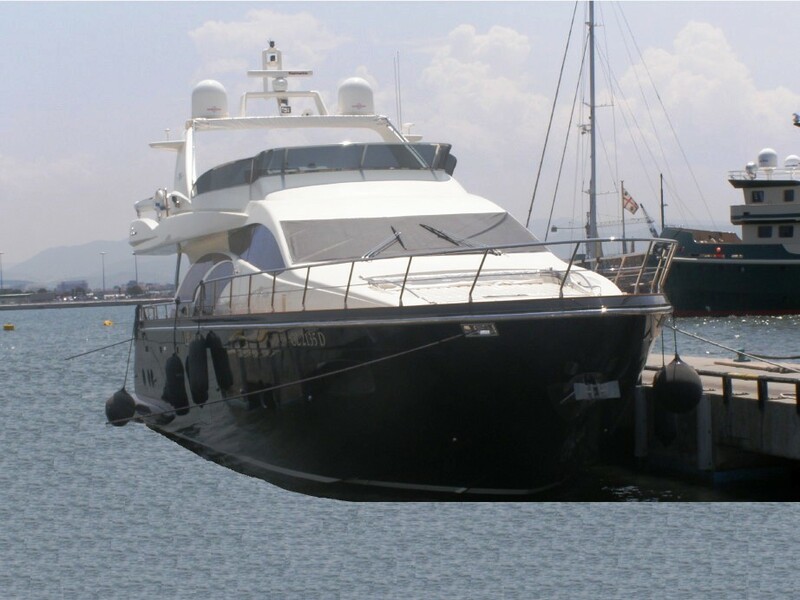 Please note that Carocla’s Hull has been repainted Navy Blue in Winter 2007. 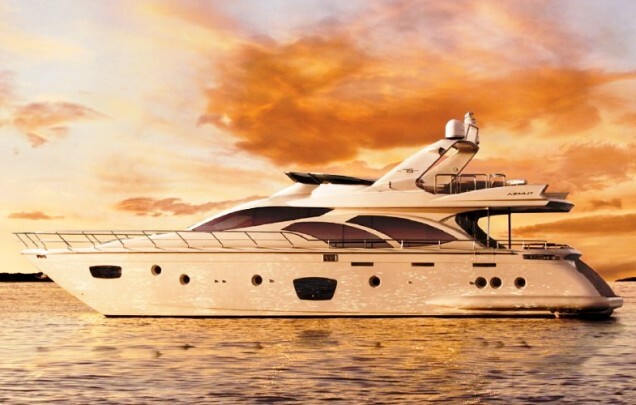 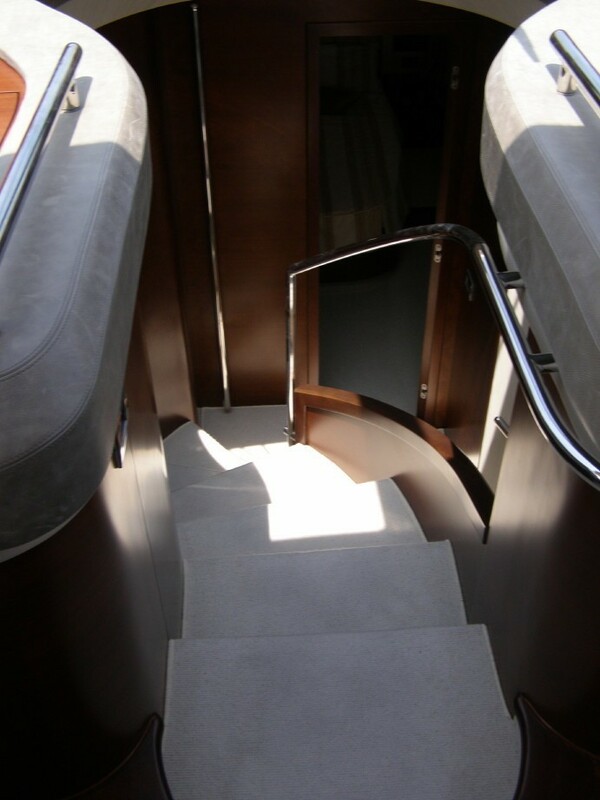 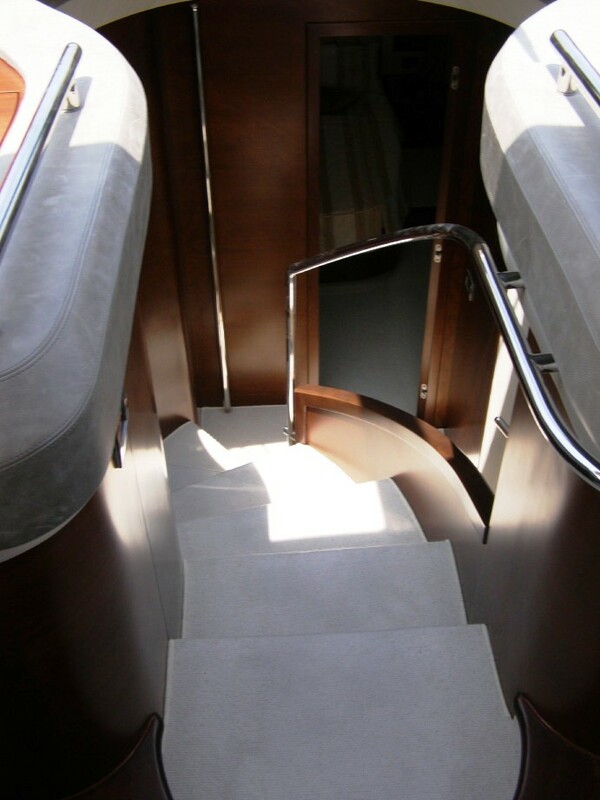 Luxury Azimut Carocla II can accommodate 7 guests in one Master, One VIP and 1 twin cabin. 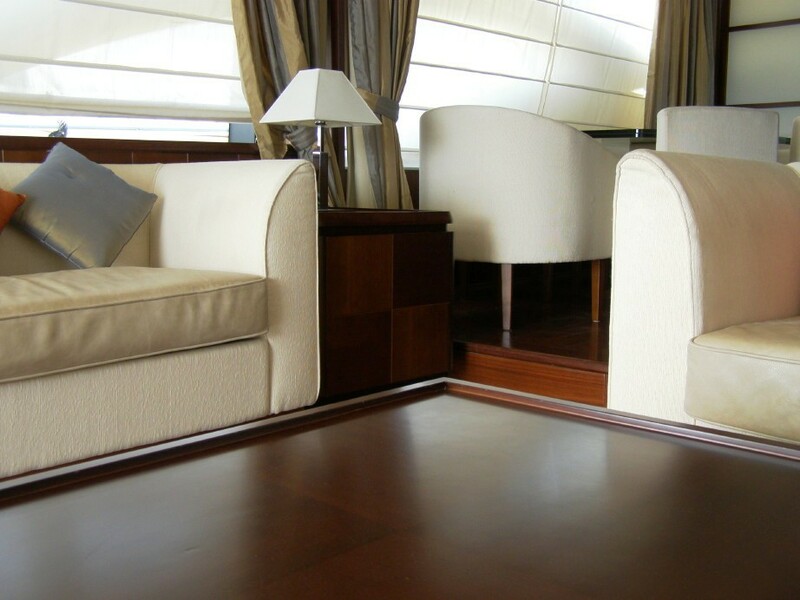 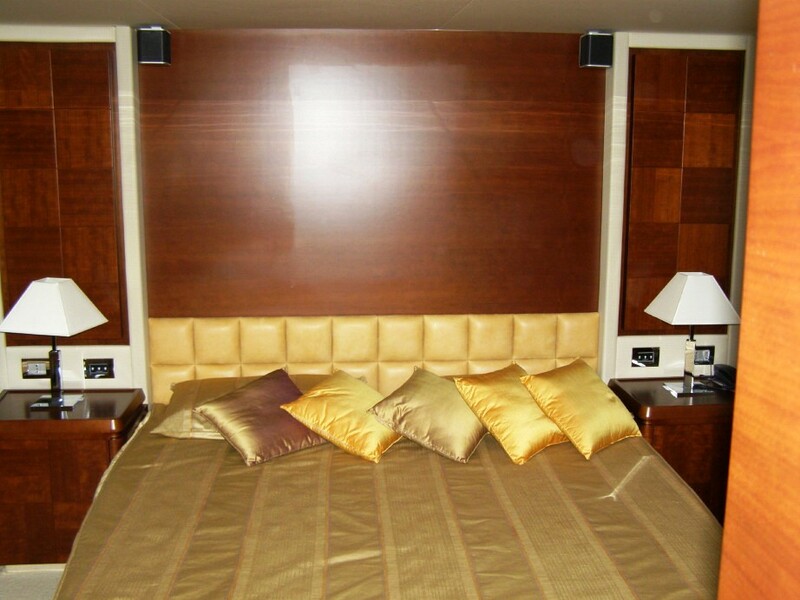 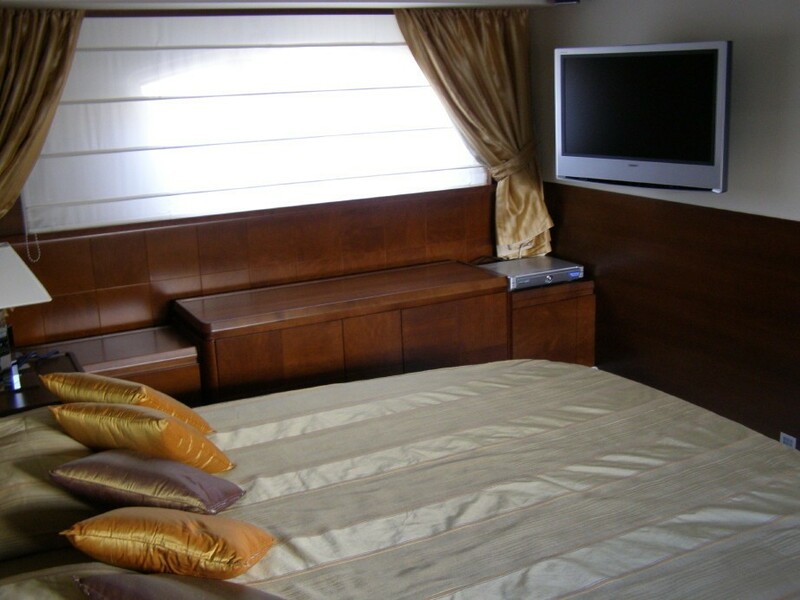 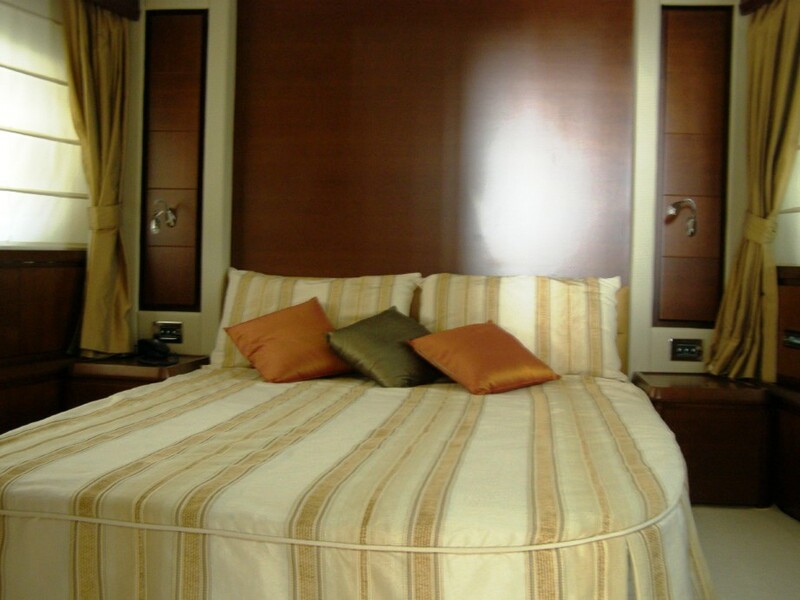 The Master Stateroom is situated below deck and forward. 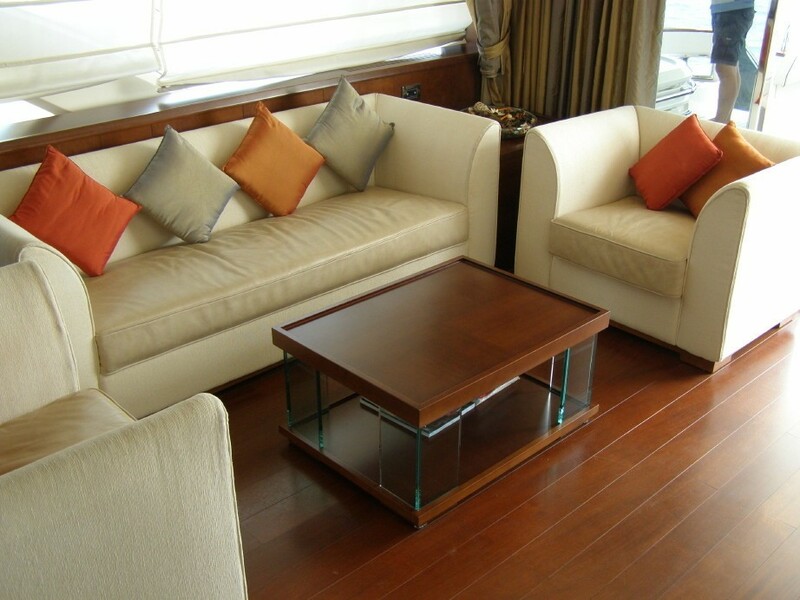 It is furnished with a king size bed and an additional 42’ flat screen Panasonic TV. 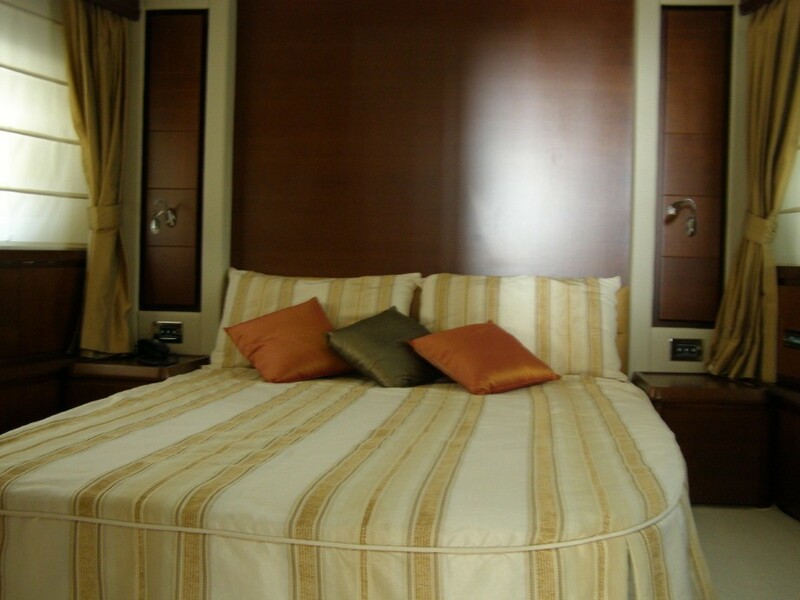 The VIP Stateroom is aft of the guest area and is equipped with a double bed, plenty of closet space and an en suite head + shower. 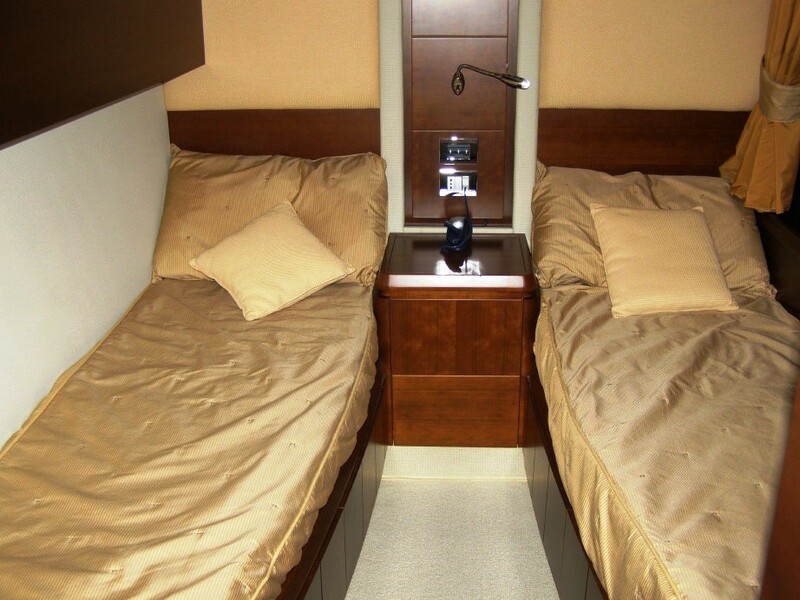 There is also a twin cabin. Motor yacht Carocla II has the following Tenders, Toys and amenities: RIB Tender Arimar 400 w/ 40HP engine, Audio Visual Equipment and Deck Facilities include SAT-TV in saloon, master, and VIP stateroom.